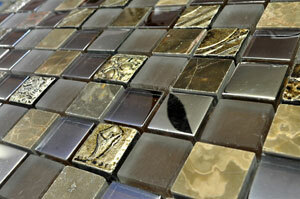 The Glass Mosaica Banda Forest makes for an excellent addition to your home. 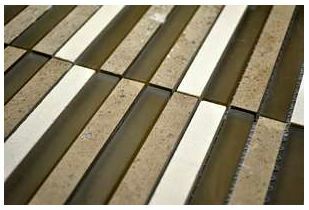 It is a stunning mosaic tile which consists of multiple rectangular strips of marble and glass. The natural tones of this tile will do well to add a touch of elegance to any space it is installed in. 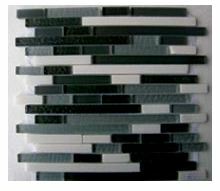 This mosaic tile is available in a standard size of 300x300mm and is sold per piece. 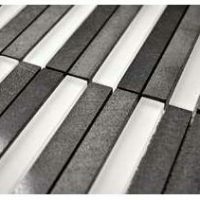 It is suitable for indoor use in feature walls and for creating vertical borders. The Glass Mosaica Banda Forest presents an excellent blend of flair and functionality. Thanks to a powerful colour combination of natural tones, it perfectly complements modern home furnishings. Thanks to special manufacturing, the Glass Mosaica Banda Forest can be installed with minimum grouting, providing a neat and modern finish. It exhibits superior workmanship and will not lose its surface finish or shine even after years of usage. For a stunning and modern mosaic tile in Perth, look no further than the Glass Mosaica Banda Forest. Buy this elegant mosaic tile at the best price from our online store today!